Based to the South of Aswan's public garden, Fatimid Cemetery is the most important group of Islamic tombs in Egypt. 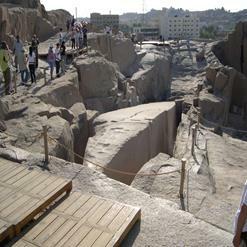 Also called as The Islamic Necropolis of Aswan, it comprises of a number of domed and vaulted square buildings that date back from the end of the 7th century to the 12th century A.D. Explore the tombs and learn about the local saints who stayed here.